"I wanted an eco-friendly type of cup, but it was hard to find," Zia Valentina co-owner Naomi Kashi told USA TODAY Network when explaining how she came up with the cone-cup idea. This edible espresso cup is every coffee lover's dream come true. Tasty flavors include cookies and cream and salted caramel.. DRINK YOUR COFFEE AND EAT YOUR CUP, TOO! 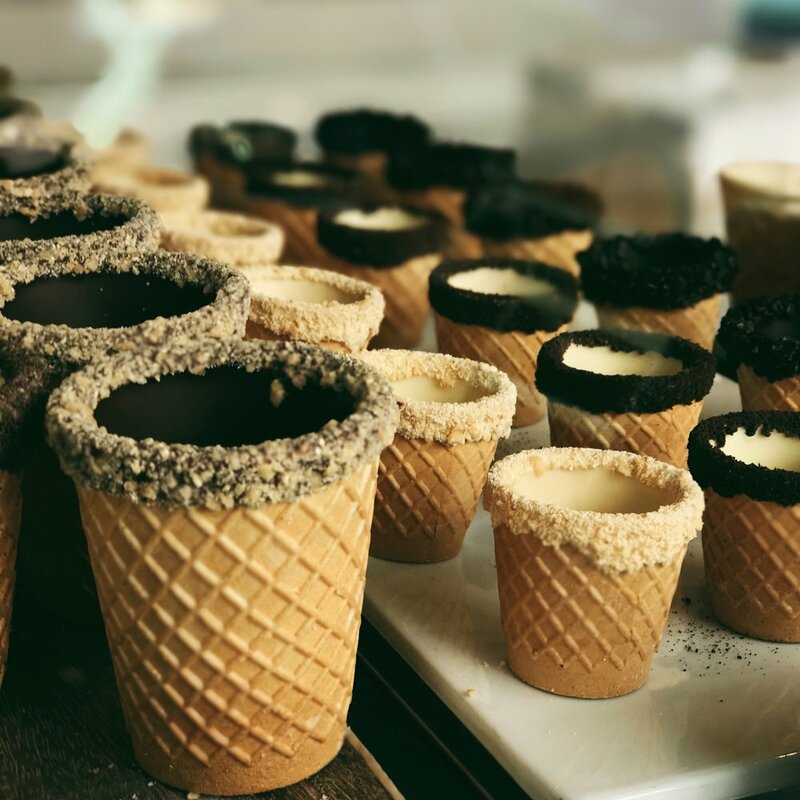 After the success of New York's Cronut, Los Angeles is laying claim to its own sweet-toothed wonder: the edible coffee cup. The cones are made by Naomi Kashi and her partner and sister Dorit Simone of Zia Valentina at the Farmers Market. 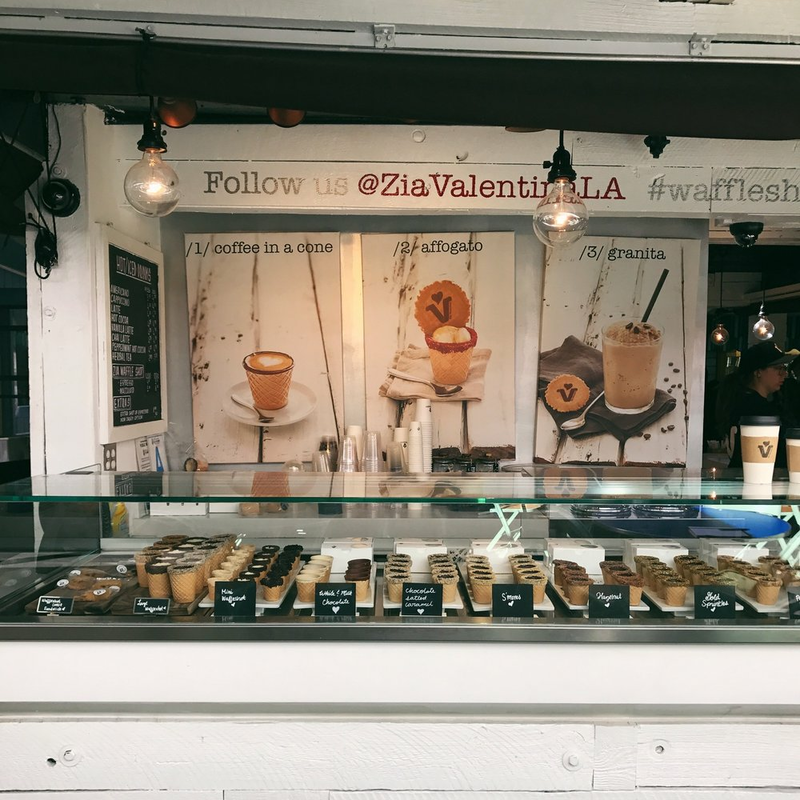 Zia Valentina serves some of its coffee drinks and granitas in the cones. Forget rainbow coffee, the latest brewing trend is coffee in a cone. 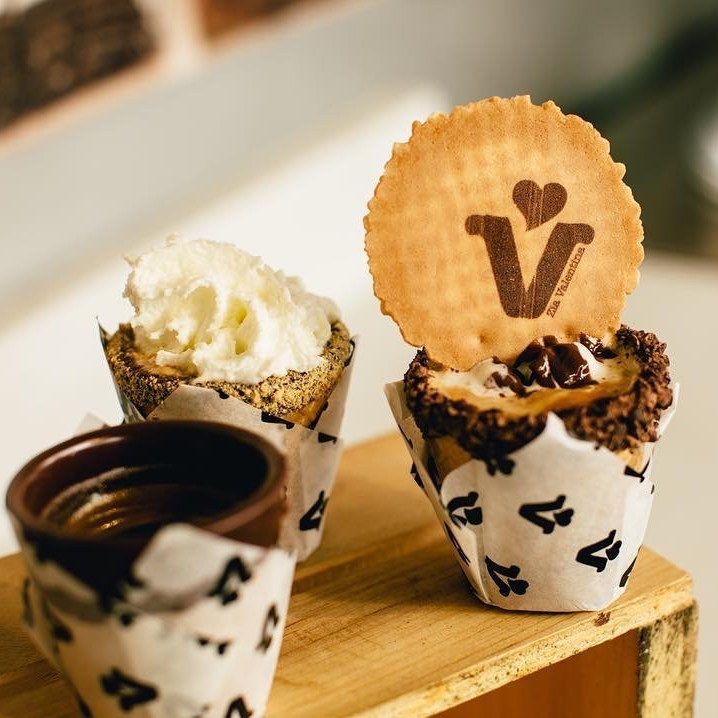 This includes the shot of espresso, which is served not in a ceramic demitasse or even a properly recyclable cup but in perhaps the best vehicle for espresso we've ever seen: a tiny ice cream cone, which has first been hand-dipped in dark chocolate. According to the co-owner of Zia Valentina, Naomi Kashi all she wanted is to make an eco-friendly type of cup. One day, she saw somebody eating an ice cream cone and all was history. Join us for special Waffleshot offers!